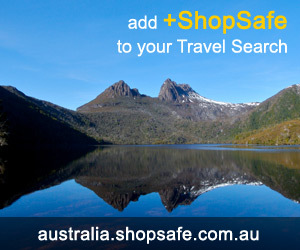 There are 10 shops in the ShopSafe USA Gifts for Teen Boys Shopping Category. For guys that like to keep it simple and low key, a body spray or cologne will be a welcomed gift. StrawberryNet has a huge range, great pricing and free gift wrap. Cool Adidas gear in new season styles and fashion colours. Shop for shirts, pants, jackets, skirts and footwear. Grab baseball, basketball, volleyball and soccer inspired hats, socks, watches and sunnies. Chocolate is a welcomed gift for any age and zChocolat.com do chocolate very, very, well. Supreme, hand-made mahogany gift boxes housing the finest chocolate truffles in the world made by world-champion French chocolatiers. Run by the guys from CollegeHumor.com each design is unique, comes in a variety of colours and sizes and in most cases will bring a smile to your dial - Tee Hee - But seriously these guys and their gags are pretty cool and all shirts are printed on sweat shop free American Apparel. All else failed? Let us help. If you want to see more Gifts for Teen Boys here, please e-mail gifts_teen_boys@shopsafe.cc. Please do not change the subject line of your email. If the subject line does not contain "Add to ShopSafe Online Shopping" it will not be read.